Bonnafon signed a reserve/future contract with the Panthers on Monday. 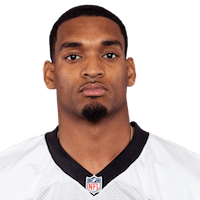 Analysis: Bonnafon went undrafted out of Louisville last April and spent his first professional season on the Panthers' practice squad. There are no videos available for Reggie Bonnafon. Click here to view all videos.